Tina Jenkins is a fully qualified naturopath and massage therapist who completed her four-year full-time naturopathy course at Southern School of Natural Therapies, Fitzroy, where she was dux of her year level. Ms Jenkins is a fully accredited member of both the Australian Traditional Medicine Society (ATMS) and the National Herbalists Association of Australia (NHAA). 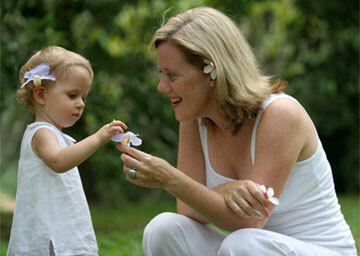 Tina is a member of the Fertility Society of Australia (FSA). Ms Jenkins also completed postgraduate training in Australia in Natural Fertility Management (The Advanced Certificate in Natural Fertility Management and Better Babies Preconception Health Care) as well as further studies through Southern Cross University in fertility and children’s health. Tina is currently undertaking a Masters in Reproductive Medicine through the University of New South Wales. Tina moved to Singapore in 1996 to begin work in a multidisciplinary clinic alongside chiropractors, physiotherapists, podiatrists and TCM practitioners. Due to her special interest in fertility and women's health issues she soon began work with world-renowned fertility specialist Dr Christopher Chen in a busy IVF clinic at one of Singapore's top private hospitals (Christopher Chen Centre for Reproductive Medicine at Gleneagles Hospital). Tina spent many years at the IVF clinic working with couples trying to conceive naturally as well as supporting those undergoing IVF and ART procedures. After more than 4 years at the IVF centre, Tina was approached by another gynecologist/obstetrician to work in a new holistic women’s health clinic “In the Company of Women”. Working together with a gynaecologist/obstetrician, a chiropractor, a counsellor, a Reiki master and a yoga teacher, Tina naturopathically treated many couples, women and children. In 2003 Tina founded the Tina Jenkins Natural Healing Centre at Camden Medical Centre in Singapore and continued to specialise in preconception care, assisting patients with fertility issues as well as women’s and children’s health problems. Throughout her time in Singapore Tina was a highly sought after speaker on natural therapies and was often interviewed by newspapers, magazines and local TV stations. Tina frequently gave presentations on natural medicines and health care to educational organisations and health care associations throughout South-East Asia including Tan Tock Seng Hospital Communicable Disease Centre (Singapore); the Podiatry Association of Singapore; the National Library of Singapore; the Pharmaceutical Society of Singapore and the Jurong Town Council (Singapore). After the birth of her second child in 2008, Tina and her family decided to move closer to family and returned to Australia in December 2008. After arriving in Australia, Tina took 6 months off to spend with her children before recommencing practice. Tina works at Fertile Ground Health Group in East Melbourne and also lectures to final year naturopathic students at the Southern School of Natural Therapies, where she also works as a clinic supervisor in the student clinic. In addition, Tina is currently undertaking postgraduate studies (Masters of Reproductive Medicine) through the University of New South Wales.